alaTest has collected and analyzed 3180 reviews of Asus Transformer TF101. The average rating for this product is 4.1/5, compared to an average rating of 4.3/5 for other products in the same category for all reviews. Reviewers are impressed by the reliability and screen. The size and performance also get good feedback. There are some less positive views about the camera, and there are some mixed comments about the connectivity. We analyzed user and expert ratings, product age and more factors. Compared to other products in the same category the Asus Transformer TF101 is awarded an overall alaScore™ of 89/100 = Very good quality. 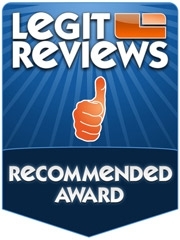 alaTest has collected and analyzed 399 user reviews of Asus Transformer TF101 from Amazon.co.uk. The average user rating for this product is 4.1/5, compared to an average user rating of 4.3/5 for other products in the same category on Amazon.co.uk. Comments about the design and battery are overall positive. The performance and portability are also appreciated, whereas there are some mixed opinions about the storage. 83% of the reviews on Amazon.co.uk give this product a positive rating. alaTest has collected and analyzed 1129 user reviews of Asus Transformer TF101 from Amazon.com. The average user rating for this product is 3.9/5, compared to an average user rating of 4.1/5 for other products in the same category on Amazon.com. Reviewers really like the design and portability. The price and performance also get good reviews. There are some negative views about the storage and reliability. 78% of the reviews on Amazon.com give this product a positive rating. The Asus Eee Pad Transformer TF101 distinguishes itself from the sea of emerging Honeycomb tablets with its aggressive pricing, and an optional accessory that turns it into a virtual notebook. Honeycomb interface can be cluttered. Virtual keyboard is slightly modified and doesn't handle predictive text well. The Asus Eee Pad Transformer TF101g is a dream come true which pairs a very good Android tablet with a tried-and-tested netbook keyboard to create one great product. It's sleek, stylish, and extremely practical and well worth its asking price. The ASUS Eee Pad Transformer is one of the best Android 10.1-inch tablets on the market today and is priced to move!